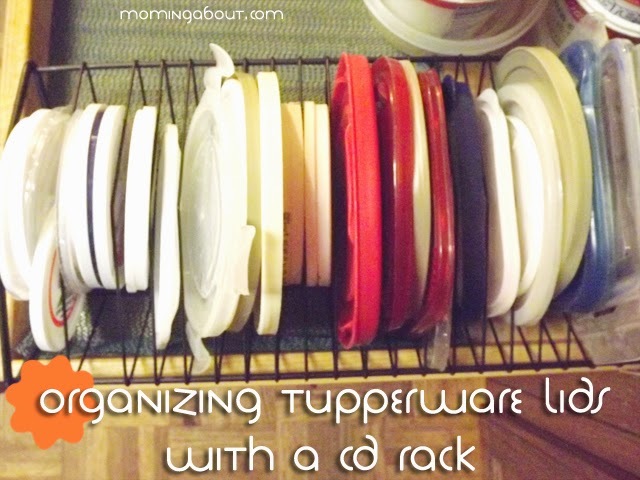 If you own tupperware at all, you've probably experienced the great mess that all that tupperware and lids can become; if you're not currently experiencing this problem, that is. Well, I'd seen this suggestion a time or two (probably on the infamous Pinterest). However, after repainting our living room, we had an extra CD rack just lying around. Since it was more of a toy for my son to play with than a CD rack, and I had a mess in my tupperware cabinet... Well, one thing led to another. I say it's serving a great purpose now! What do you think? 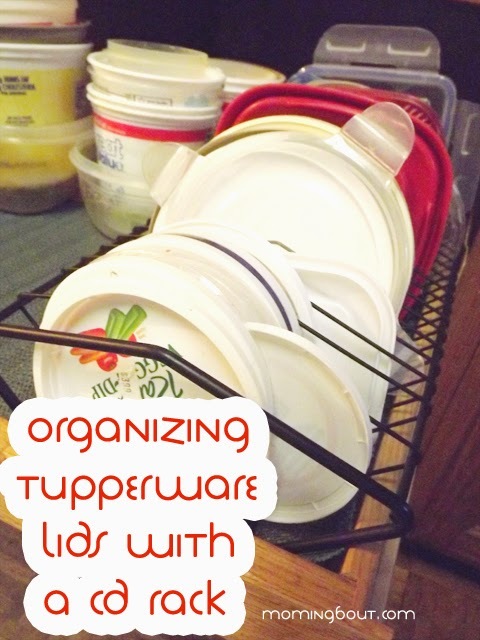 Do you have a mess of lids in with your tupperware? 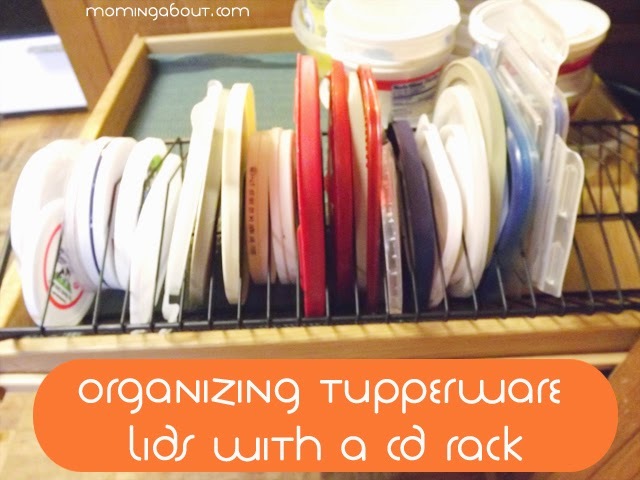 Or how do you keep your tupperware organized? 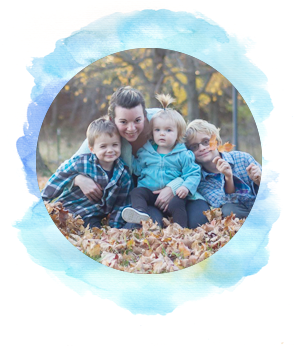 Please share any great organization tips you might have!